The 666,666 hit occasion gift from Rolls Royce! 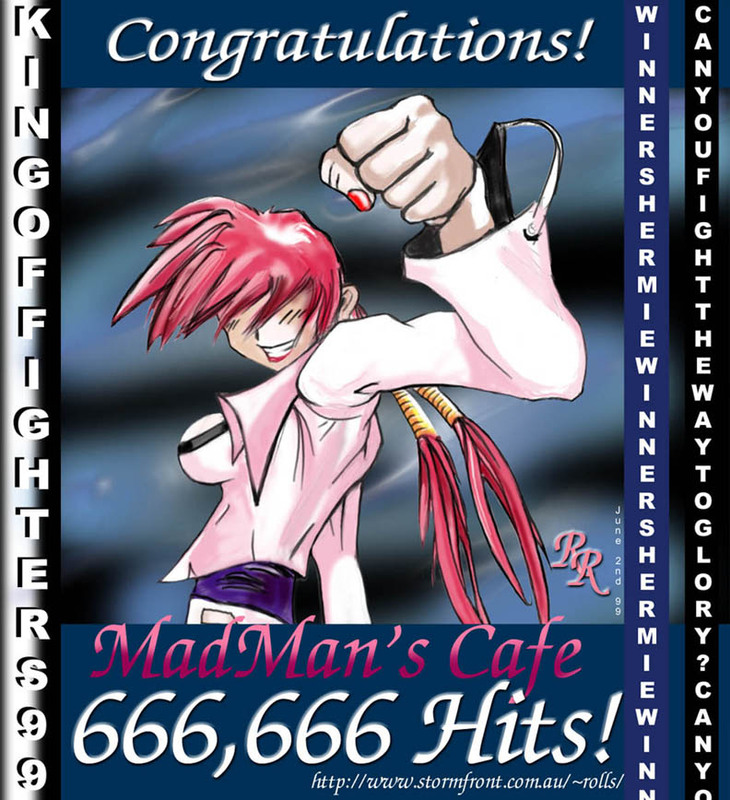 Thanks to Rolls Royce, Shermies comes packing a strong punch for the Orochi-like occasion of 666,666 hits!! Thanks a dozen of Shermie Spirals, Royce!